During sixth period on Tuesday, September 20, 2016, seniors were treated to presentations from Arizona’s three public universities: the University of Arizona (here in Tucson), Northern Arizona University (located in Flagstaff) and Arizona State University (located in Tempe). 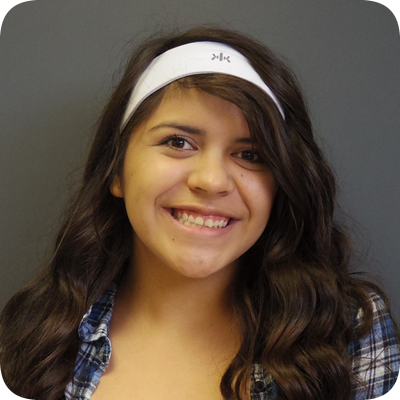 Of the nearly 385 seniors at Pueblo, more than 300 were able to attend. 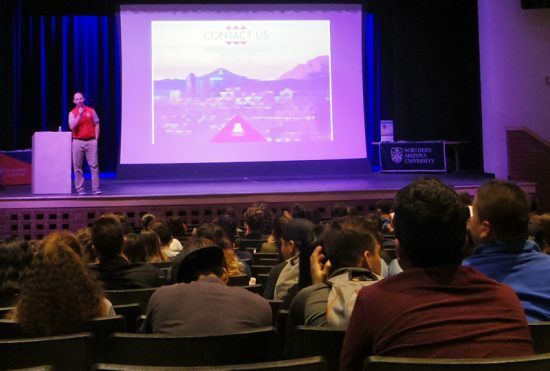 Representatives from each of the three universities spoke for approximately 25 minutes each, promoting the positive qualities about each of their campuses as well as discussing financial aid information. Near the end of these presentations, seniors were encouraged to pick up brochures and other informational literature about one, two or all three of the universities. College and Career counselor Ms. Mandy McTavish organized this event, which was deemed a success by the high number of seniors in attendance and by the comments of those seniors following the event. 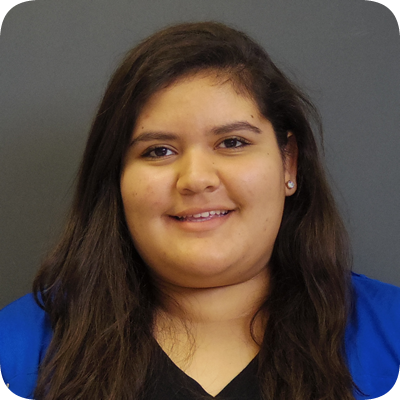 McTavish added that she and the other counselors will be delighted to assist all seniors throughout the school year but adds that NOW is better than next April or May. The week of March 7-March 11, our Warriors brought their school spirit and dressed up for the entire week based on the days assigned by student council. Monday was “Double Trouble”; Tuesday was “Messy vs. Dressy”; Wednesday was “Gender Bender”; Thursday was “Pixar Day”; and Friday was “Jungle Day”. Friday was finalized with a boisterous assembly that took the Class of 2016 seniors on an emotional rollercoaster. 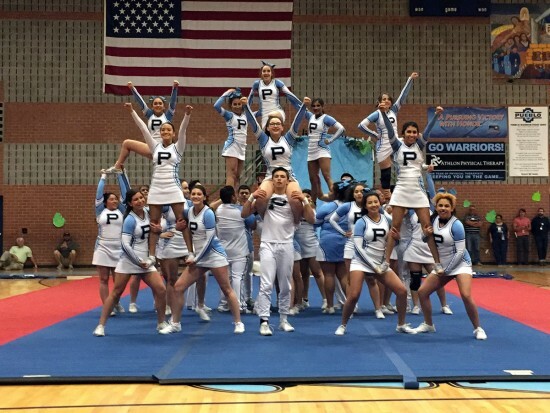 The assembly consisted of performances by the KWXL Radio staff and Pueblo’s Warrior Cheer squad, competitive games, and acknowledgement of multiple sports and clubs. 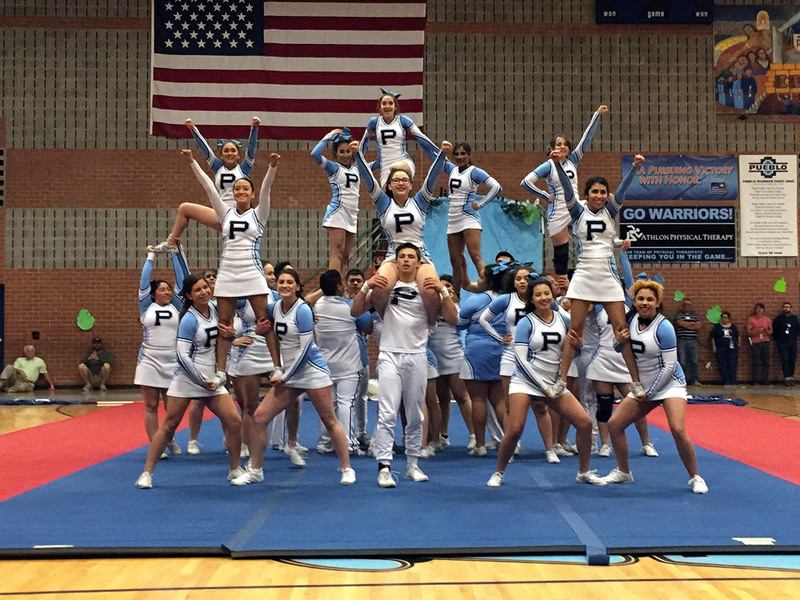 The cheer performance seemed to captivate the audience the most—a preview of their awesome talents that they will showcase on Saturday, March 19, when they compete on a national level in Anaheim, California. 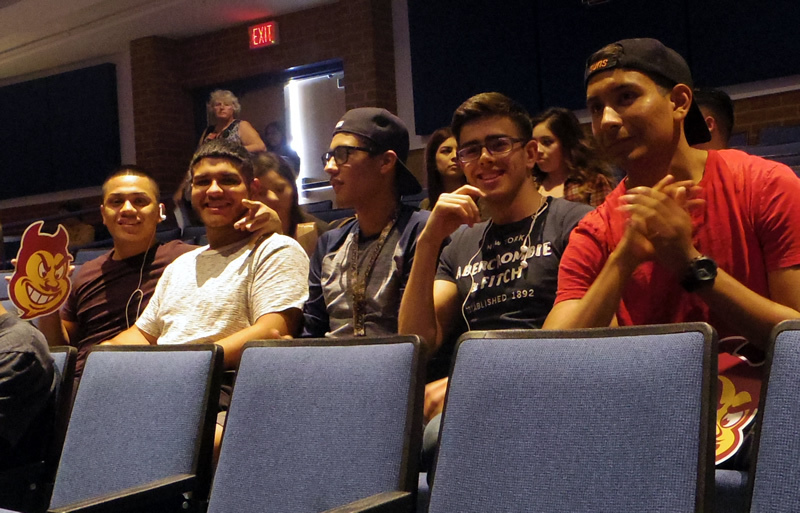 At the very end of the assembly, after the traditional seat change, seniors were presented with a slide show that commemorated their past four years at Pueblo. Not surprisingly, judges Mr. Rana Medhi, Ms. Kelly Crane, and Ms. Angela Gonzalez unanimously chose the seniors as the most spirited group. Anticipation, excitement and school pride filled the halls of Pueblo during Spirit Week, which began on Monday, September 21—and progressed to Pueblo’s homecoming night on Friday, September 25. 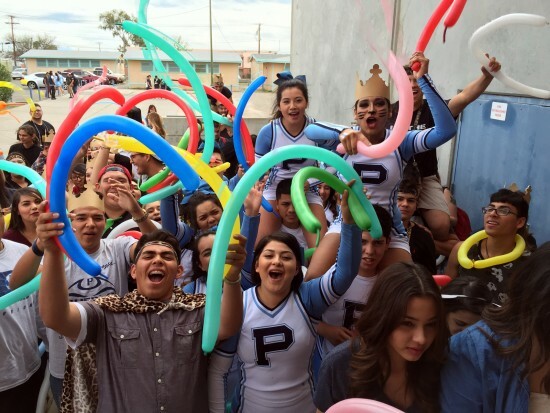 Our mighty Warriors showed their Pueblo Pride in the wide-spread participation of spirit week festivities. These included Slumber Party Day, Dynamic Duo Day, Disney Day, Tropical Day, and Straight Outta Pueblo Day. Throughout this week, there were many games during lunch in which each class was given the opportunity to gain spirit points. Our school’s pride continued in the Lever Gym for the first spirit assembly of the year. “The assembly was great, all four of the classes really brought their school spirit,” said senior Kevin Valdez. After extensive recognition of clubs and academic success around campus, the winners of the spirit assembly were determined. The seniors seized the victory. Warrior Cheer getting the crowd going. The day came to a beautiful end as the homecoming game approached. Clubs lined up with different items to sell in order to raise money at our annual Homecoming Tailgate Party. The bleachers filled up with anxious spectators who waited for the football game to begin. 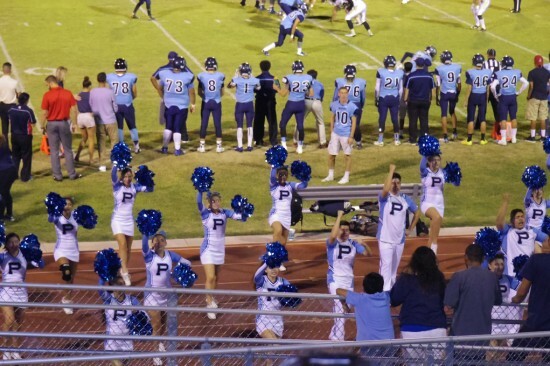 Pueblo Magnet High School hosted its jubilant 60th Anniversary of its homecoming football game on Friday, September 25, 2015. The Warrior football team’s homecoming victory over the Douglas Bulldogs, with a final score of 48-0, was perhaps the team’s most dramatic win on homecoming night in many years. Warrior Football dominated the entire game. The Warriors dominated the football game throughout the evening and refused to let the Bulldogs score even once! 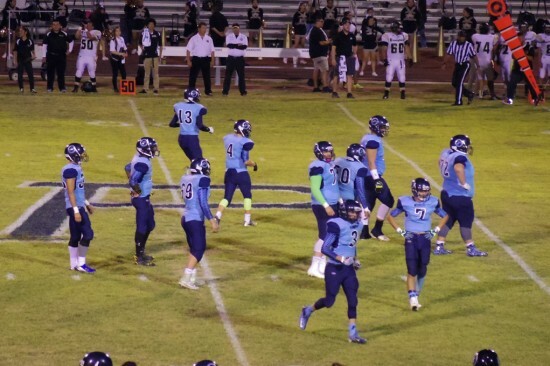 Pueblo’s very own senior Justin Pledger received Jack in the Box Player of the Week for KVOA Channel 4. There were plenty of homecoming tailgate activities that Pueblo clubs offered. There was a variety of food choices and games throughout the night from which students and alumni could choose. 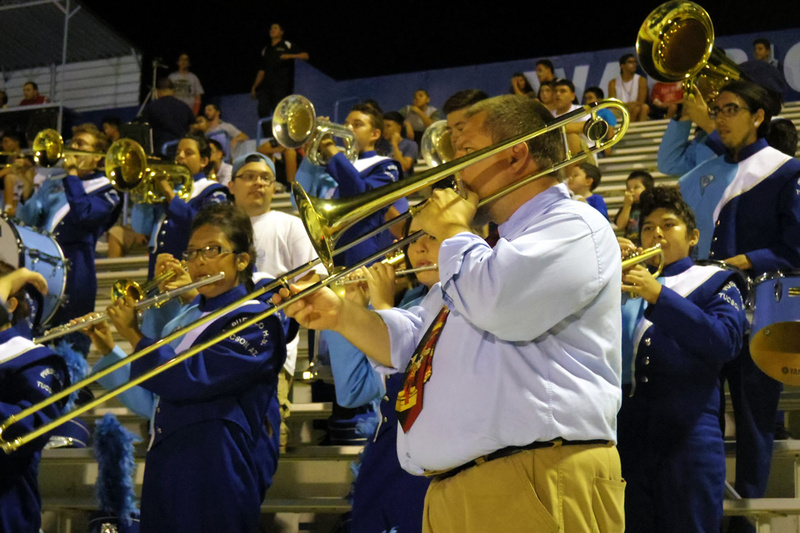 Warrior Marching Band entertained throughout the night. 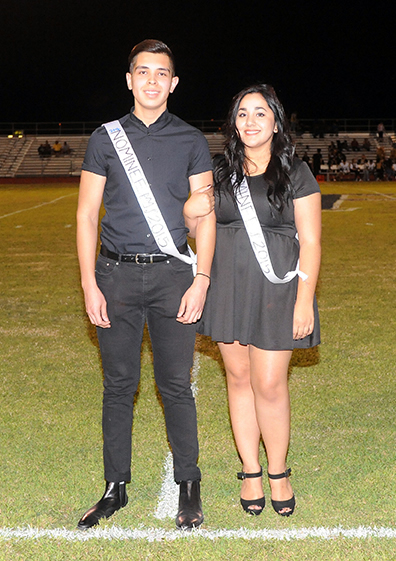 During halftime of the football game, our fall 2015 homecoming king and queen of Pueblo Magnet High School were crowned: Emmanuel Buelna and Daniella Contreras. We can’t wait for Homecoming Night 2016! 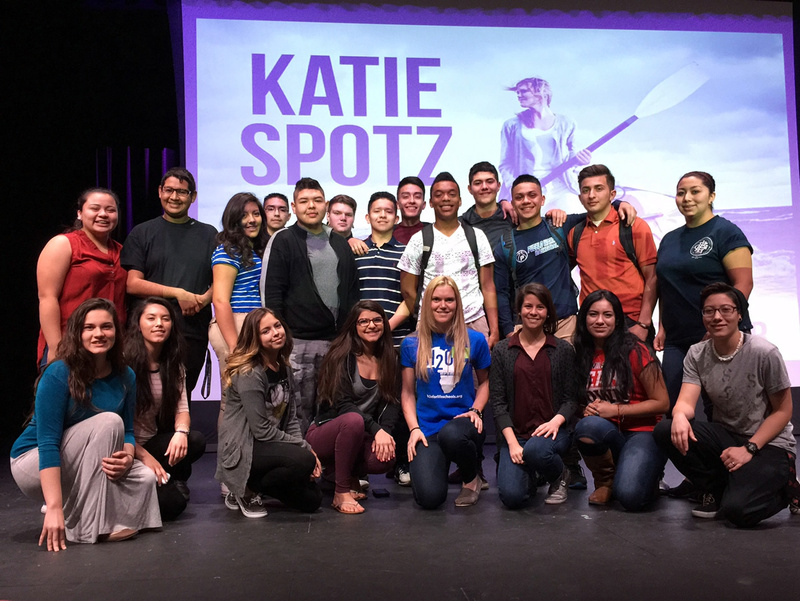 Nearly 450 Pueblo students and faculty members packed the school’s auditorium on Friday, Feb. 13, to attend a presentation from Katie Spotz, a self-motivated young woman who has raised hundreds of thousands of dollars in a variety of stellar physical achievements—raising money to provide clean drinking water to an estimated one billion people on this planet that don’t have access to it. Nearly 5,000 people (mostly children) each day die from drinking bad water, she said. Most of the countries that she has helped raised money for to provide safe water include Haiti, Honduras, Guatemala, Nicaragua and Kenya. “I couldn’t just stand around and let this happen anymore, so I started to challenge myself to help as much as one person can,” the Ohio-born Spotz said. On March 14, 2013, the then 22-year-old Spotz became the younger person (and only the second woman) to row across the Atlantic Ocean, unattended and without aid—approximately 3,000 miles, from Africa to South America! During the 70-day challenge, Spotz said she had very little diversion except for a day interacting with dolphins and the several occasions of avoiding enormous freight ships. 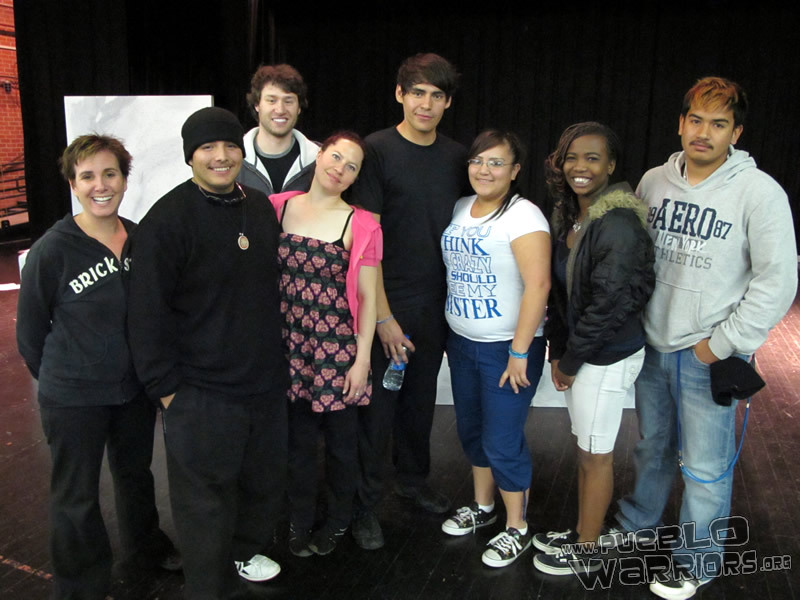 In the end, her “Row for Water” event raised more than $150,000 to provide safe drinking water. But, she didn’t stop there. In a valiant effort to raise even more awareness of providing safe drinking water to one billion people, Spotz has a resumé of unbelievable, impressive, physical feats, including swimming the entire length of the Allegheny River as well as cycling across the United States in seven days—even with a broken pelvis! Spotz eventually traveled to Kenya, and there she helped 10,000 students, first-hand, in that African nation gain access to safe drinking water. “It was an amazing opportunity to actually be in the middle of this crisis,” Spotz said, “and also to be a part of the solution.” She added that she was appalled at how many people in Kenya are without clean drinking water—maybe only one person in 1,000 have access to healthy water each day. Spotz spends most of her time traveling around the United States helping and inspiring schools to raise money for a project called “Schools for Water”. Pueblo is now challenged to raise money for “Schools for Water”. 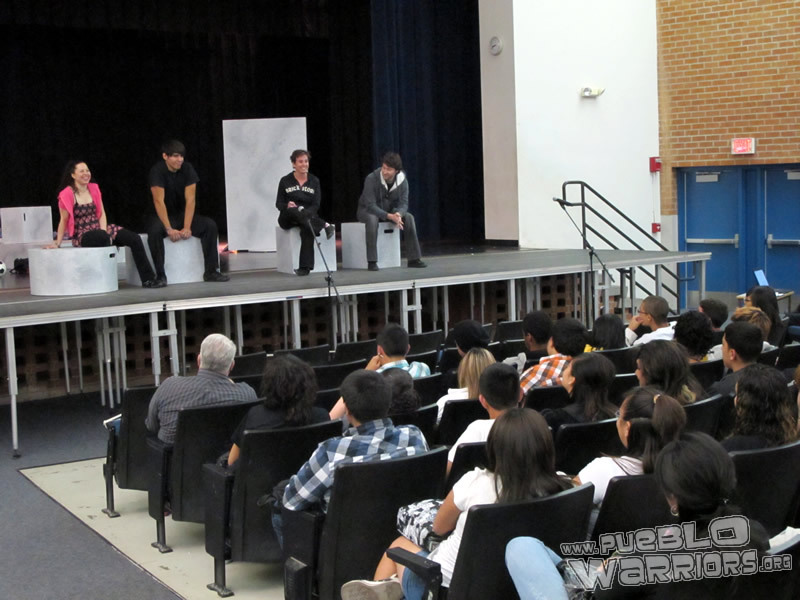 According to Ms. Mary Wallace, government teacher and the organizer of this presentation, Pueblo has committed to raising $1,500 and challenging Cholla, whose goal is to raise $1,000. Wallace said that she is communicating with our administrators about ways to raise money in support of “Schools for Water”, including a “hat day” in which students will be allowed to wear hats for a day in exchange for one dollar. More activities will be announced throughout the semester, she added. What are your thoughts on the Calvin Terrell presentation? or leave a general comment below. 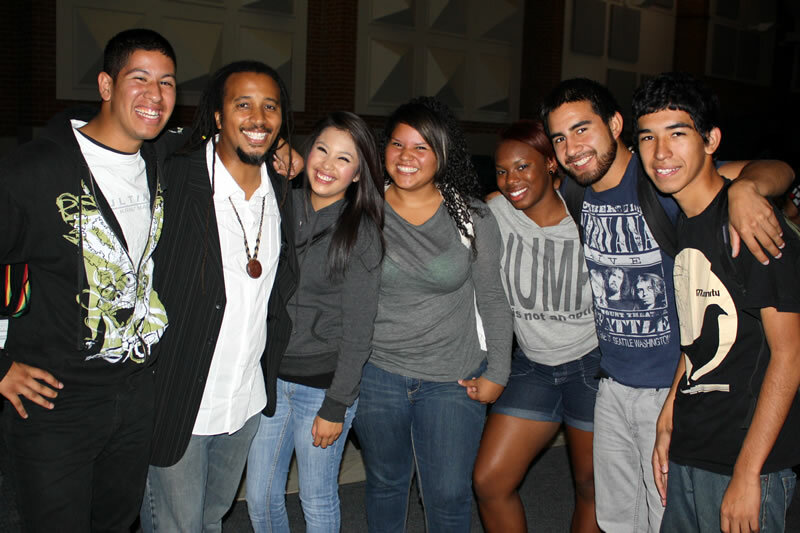 Calvin Terrell poses with some Pueblo Warriors after presentation. Let’s make a ripple Warriors!